I would like more information about 1477 Del Rio Circle, Unit B. 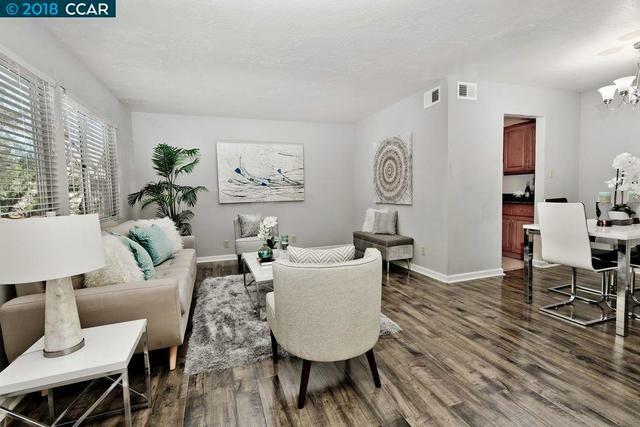 Come see this gorgeous 2 story condo! Lowest priced unit in the complex just minutes from Downtown Pleasant Hill, with close proximity to shops, restaurants, Starbucks and more. On the border of Concord and Pleasant Hill, it's a short trip to BART or 680. No rental restriction, great for an investor or first time home buyer. Laundry located in carport. Low HOA includes community pool and greenbelts galore. Buyer to cooperate with sellers 1031 exchange at no cost to buyer. Move in ready!